Long time Nexus fans were less than pleased with the arrival of the Nexus 6, not that it wasn't a good smartphone... but because it's $649 price tag. A problem that Google has finally decided to fix. No matter if you're a fan of phablets or not, Nexus 6 is certainly a good device (though its size will certainly be a decisive factor for most). The problem is that, after bringing us the Nexus 4 and Nexus at highly competitive prices, at the time, the Nexus 6 arrived with a not so appealing $649 price tag that completely "ruined it". 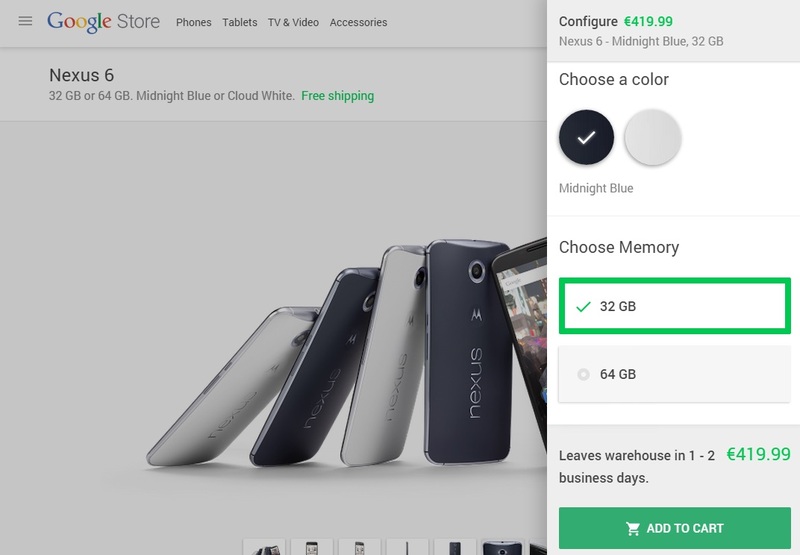 It took 9 months, but now Google finally does something about it, lowring the Nexus 6 price to $499 ($549 for the 64GB version). That's the price it should have had at launch! And by now it should be dipping even more (suffice to say, the LG G3 is now reaching the $300 mark which helps put things in perspective)! We also have to deal with the side effect of price drops. For all those who have bought the Nexus 6 in the past months, this price drop will make them feel a bit awkward. Sure, tech stuff inevitably gets cheaper, but we'd expect prices to stay the same for at least a year, until a new device comes along. Which prompts us to ask: is this price drop related to the upcoming new Nexus 5 by LG and the rumored Nexus made by Huawei? Guess we'll have to wait to see... and hope they come with the right prices right from the start.